There’s a story in today’s New York Times on the impact the iPad is having on hotel Wi-Fi networks. Conclusion: Expect hotels to implement volume-sensitive pricing for Internet access via Wi-Fi. The typical plan will give you enough data for e-mail and basic web surfing, but video streaming is going to cost you. Largely because of the broad use of iPads and other mobile tablets, which are heavy users of video streaming, the guest room Wi-Fi networks that most hotels thought they had brought up to standard just a few years ago are now often groaning under user demands. 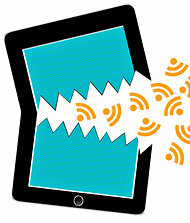 “The iPad is the fastest-selling device in consumer electronics history, and because of it the demand placed on any public place Wi-Fi system has gone up exponentially in the last year and a half,” said David W. Garrison, the chief executive of iBAHN, a provider of systems for the hotel and meetings industries. This means more hotel customers are unhappy with their Internet connections. Hotel owners, meanwhile, who are digging out from a two-year slump caused by the recession, will probably have to invest more money to provide more bandwidth. For travelers, it may mean still another fee, since hotels will be paying their own Internet bills. Some hotel Internet service providers are proposing a solution that offers tiered Wi-Fi service. The lowest level, suitable for basic Internet requirements like checking e-mail, would be free, but other levels would be priced depending on bandwidth requirements. According to iBAHN, iPads consume four times more Wi-Fi data per month than the average smartphone. The iPad represents the “final nail in the coffin” for the idea that all Internet is free, Mr. Garrison said. What is it about the iPad that makes people want to stream movies so much more than laptops do? From a purely technical standpoint, the only significant differences between the two platforms are the laptops’ larger screens, potentially better sound, and superior storage compared to iPads. Doesn’t every traveler have a laptop? Apparently not. Business travelers have a large number of laptops, but more and more they seem to carry iPads as well. It’s not unusual for frequent fliers like myself to see our whole row using iPads at the same time, and my informal survey suggests that about half the iPad users in Economy Plus, Business, and First Class are also carrying laptops. There are still a number of things you can’t do very well on an iPad, particularly the mundane business of word processing and presentation creation, so the laptop is still a necessity. It’s also still the case that some of us like to carry a fairly large document inventory when we travel, and cloud-based storage is much more expensive than a fat hard drive. If you are using the cloud for your documents, you’re slamming your hotel’s Wi-Fi, although not as hard as you do with video streaming. Just as video streaming is the dominant Internet application in terms of volume overall, so is it dominant on hotel networks. Getting back to our question about why the iPad makes people want to stream video, the best answer comes from a panel at TelcoTV2011 today: Matt O’Grady (EVP, Media Audience Measurement, The Nielsen Group) says consumers see the iPad as a “mobile TV set.” You watch streaming video on it because that’s what it’s for. Sure, you can do email, web surfing, and gaming on it too, but the killer app for tablets in general and iPads in particular is video. That’s why people pay the extra money and tolerate the extra weight that iPads bring in comparison to smartphones. This effect – people carrying a portable TV wherever they travel – is slamming hotel networks, and pricing changes are the result. Pricing will be an efficient solution, because consumers actually do have the choice of loading video on their iPads before they travel (and while traveling if they also carry a laptop.) It’s less convenient, but if there’s money in it, people will do it.